Exceptional six-bedroom open floor plan in Bradbury Hills on a large .31 acre lot! 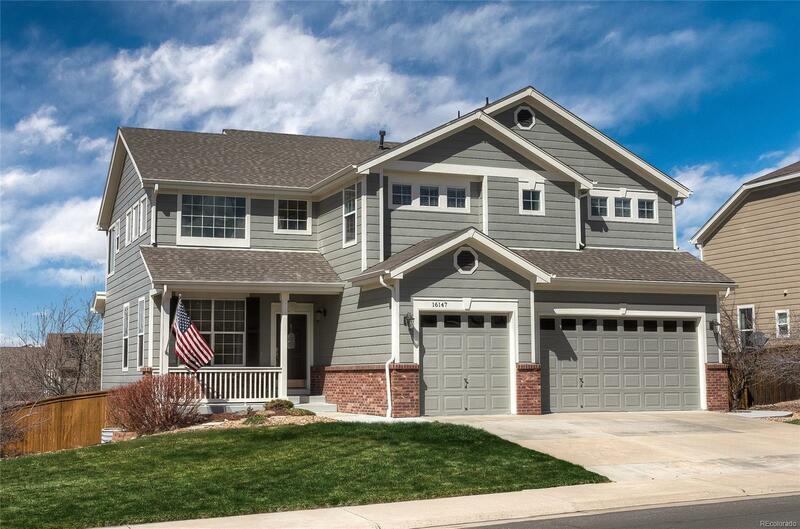 Better than new, this home has been lovingly maintained and features newly installed carpet, eat-in gourmet kitchen with 42" cherry cabinets, slab granite, custom back splash, island, gas stove top, double ovens and large pantry. All this opens to the light and bright family room framed by large windows and and a spacious deck. French doors lead to the main floor office with adjacent half bath. Entertain in the formal dining room that has custom tray ceilings. Relax in the luxurious master suite with private sitting room, peninsula fireplace, spacious walk-in closet and custom tiled five-piece bath. Convenient main floor laundry and mud room offer access to a large 3-car garage. The recent walk-out basement finish features an open flex room, kitchenette, modern bathroom and two bedrooms - all walking out to the enormous backyard with privacy offered by surrounding trees. - a must see!